Lots of sweet memories of childhood are associated with animals. Whether it’s Simba of Lion King or Mowgli of Jungle book, the life of a jungle has always fascinated wildlife supporters and lovers. What if upcoming generations only knew the animals in their science book? Yes, that time is very soon when the coming generations will only know about animals through our stories or their mentions in the book. Occasionally, in our daily newspaper we read about activities like poaching and illegal trade done by people just to earn money in exchange for animal’s teeth, skin, flesh, and bone. All these activities result in continuous deterioration of wildlife. On a positive note, many campaigns and projects related to wildlife conservation were taken in India. Government and many other Non Profit Organizations are fighting to save India’s national park. Scroll down a little to know about conservation initiatives and to learn how you too can do your part to save. Three major wildlife conservation projects have been started by the government for the purpose of wildlife conservation namely Project Tiger, Project Elephant and Crocodile Conservation Project. Also, there are international organizations that are joining hands with India to save the charming species- GOI – UNDP Sea Turtle Project, Vulture Conservation, People for Ethical Treatment of Animals (PETA) and WWF (World Wildlife Fund). Wildlife Institute of India, an autonomous institution under the Ministry of Environment and Forests, Government of India offers academic courses, training programs and short courses related to wildlife conservation. For the protection of animals, the Wild Life Protection Act, 1972, was launched by the government for the protection of flora and fauna. Apart from this, a Wild Life Conservation Week is also celebrated from 1st to 7th October every year. During the week-long festival, various activities related to wildlife protection are organized. Besides helping to conserve the wildlife species, these wildlife organizations work towards the preservation of crucial habitats at the landscape-level and create awareness about their ecological importance. 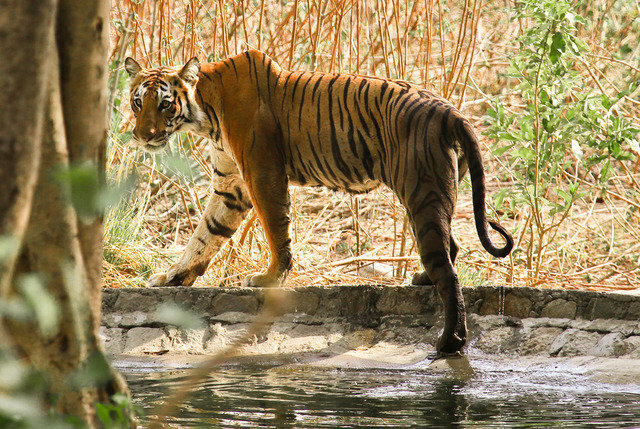 In a big boost to the forest department’s efforts to strengthen protection mechanism, many NGO’s have announced series of campaigns to safeguard the wildlife in India. Organizations like Wildlife Conservation Trust, Wildlife Protection Society of India, TRAFFIC India, Wildlife Trust of India, Wildlife Protection Society of India (WPSI), and The Corbett Foundation are working hard to protect wildlife and bring forth the harmony. With the help of the seminars organized by these organizations, NGO’s have gathered the attention of people towards the wildlife problem. Every citizen of India poses a responsibility towards the Nation’s flora and fauna. Government and Non-profit Organizations are doing many things on their part, but as a citizen it is also our responsibility to do activities to save our environment. Apart from volunteering with the NGOs, mentioned below are some activities that we can do on our part. 3) Spread awareness through social media platforms. Spread conservation message through twitter, Facebook to name a few. 5) Pay a visit to any national park and follow the rules. Drive slowly and never throw waste en route. 6) Avoid buying products that come from endangered species. Also, if there are some groups of people who are passionate about wildlife protection, they can establish an eco club. Gather like-minded people, identify the problem and make a plan to deal with the situation. The effect of these efforts can clearly be seen if you visit these spellbinding empyreans for wildlife! By following the steps and supporting the initiatives mentioned above you can contribute a lot towards the conservation of wildlife.